Update: We have been told that the rendering below is from a previous incarnation of the proposed surf park. The new proposed location is further west, away from the Magic Hedge, The Dock, the bird sanctuary, the Wilson Beach House, and the volleyball courts. 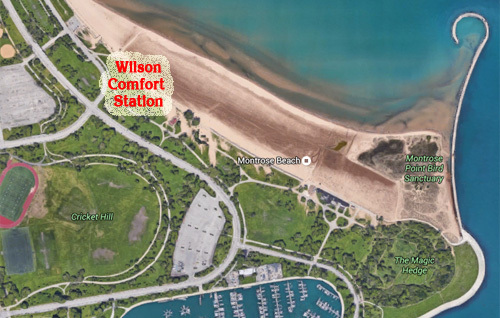 It is near the Wilson Comfort Station, which is off Simonds Drive, immediately south of Wilson. It's a stone building that currently has a Mexican restaurant in it, directly east of Cricket Hill, near the water. Alderman Cappleman is hosting a community meeting at Clarendon Park Community Center on Thursday evening May 19th beginning at 7:00pm. It is focused on the proposed renovations to the existing Beach House, Concession and Restrooms at Wilson Ave.
1) RESTROOMS: Completely renovated, both utility lines (water / sewer) - severely needed as the existing infrastructure has not been touched in over 60 years, but also cosmetically - renovating the toilets, sinks, mirrors, automated soap and drying dispensers, etc. 2) SECURITY: The new vendor to the existing concession area; Chicago Surf would provide licensed security officers during operational hours plus multiple 24/7 security cameras linked directly to the 19th Police District Headquarters - Currently NO security in the area, this would be a HUGE benefit to the community. 3) CONCESSION / COMFORT STATION: The current concession house's water / electric condition, and cosmetic status is in horrific condition. There are major sewage, water and electrical issue with the existing building. Chicago Surf would improve these issues to Code. Add an attractive patio seating area on the existing concession grounds. Currently there is not even a single seating area for guests of the concession house to eat / sit. Merchandise. Currently there is no where at the beach to purchase sun screen, sun glasses, hats, towels, or beach rentals, Chicago Surf would offer these items and more. 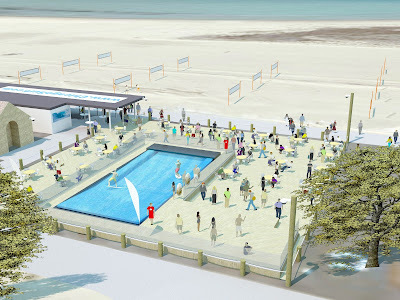 4) SURF PARK: Chicago Surf would add an attractive on-land surf park to the concession house. This is a growing sport which attracts people of all ages. Their services would include open surfing, surf leagues, day camps, Community Days, birthday parties, and more! Looks fun but needs solar panels everywhere to offset at least some of the electricity this thing will use. Gluten-free fair-trade solar panels, me thinks. Very bad idea for a variety of reasons. They are very coy about the price of the Surf Park. 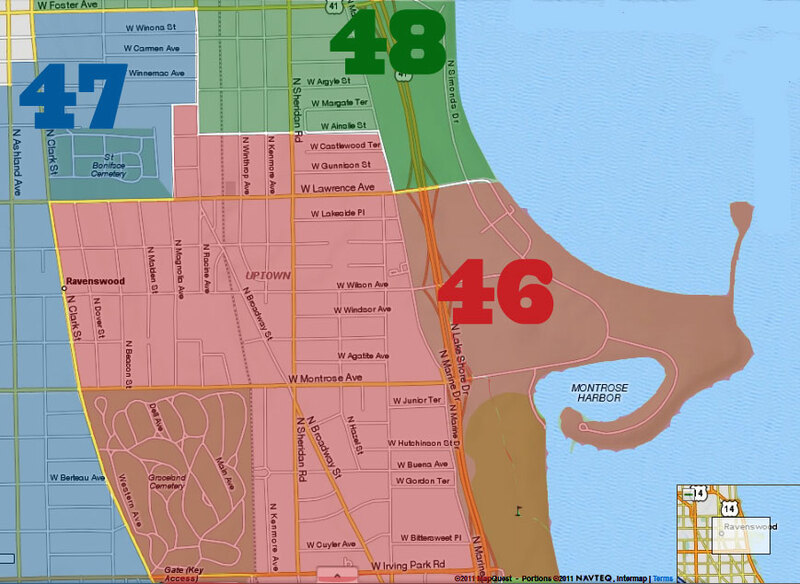 What this is going to do is create another "private expensive playground" on the Lakefront for those with money and create another part of the park that is no longer usable by the rest of us. No one says you have to go if you can't afford it. It will bring those that can into the neighborhood, which is great. FYI - The park stretches for 19 miles....you'll find another place for your activities. Can it double as an ice rink in the winter? So...the only approved use of the park is to annoy birds by staring at them through your camera lens? Good to know. we don't need a surf park where we have a great lake with surf. yeesh - who thinks up these things. The Chicago Park district has twice turned down this surf park. Once last year and in March of this year. I contacted the Park District today and the CEO was not informed about this meeting. I checked with Friends of the Parks and they were not informed of the meeting, neither were the Stewards of the two Natural Areas directly adjacent to the proposed surf park. We do not need this at Montrose. 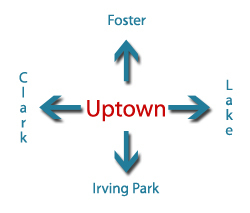 The area they propose take for this is already heavily used. Keep it out. Hell, NO. Terrible place to put this, next to an ACTUAL Natural Body of Water. If the developer wants to build this, they should put it at another park in the landlocked parts of the city where the residents have no easy access to water, not an already Very highly used park, RIGHT in the footprint of volleyball courts and TWO Nature Preserves. Totally NOT the right place for this. JUST SAY NO. Just say YES. This would be another attraction for the Montrose beach and would bring $$$ to the neighborhood. Not sure why so many are against this. Also, LOL trying to surf on Lake Michigan's "waves"....this fills a niche and they will need access to water to power the facility. Make them pay for all renovations at the beach house, dog park and bird sanctuary. This is a good idea if they will pay of a complete renovation of the entire beach site. Please look at kelly slater's wave, this should be something that can be enclosed in the winter, because it's cold. more then one is ok, like the baseball teams. your welcome. First, let's keep our public spaces public! Dog users will still have a special fenced in area of the beach for their use. Dogs will not be allowed to surf at the surf park, even if they somehow have the price of admission. No idea if the adjacent deck/restaurant are dog friendly or not. If parking proves too difficult, we can always close the beach to dogs and humans, close the marina, athletic fields, bait shop, rentals, restaurants, and concessions. That will make the birders, and the hookups in the Magic Hedge super happy.